We are currently looking for sponsors to help support our competition team. Donations help pay for student’s competition fees, transportation, attire, and post training snacks. 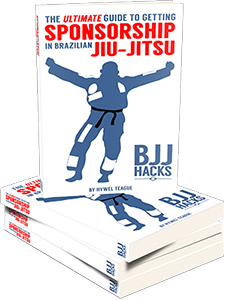 The cost of a Jiu Jitsu competition there in Brazil costs between R60-100. Some federations also require athletes to pay an additional fee for an affiliation card. Acquiring a kimono can be one of the biggest things keeping kids from starting Jiu Jitsu. Finding a decent priced kimono that meets competition requirements can be quite difficult in fact. TerereKidsProject is happy to count on the support of Cascagrossa Kimonos who provides kimonos to the project for only R100. After each training session that project provides sandwhiches, cookies, and juice to the kids from the community. The snack program is the biggest expense that the project incurs. Due to financial limitations the program was suspended until just recently. It costs R350 a month to keep the snack program running. Monthly commitments help to ensure that we have enough money to pay for competition fees and the snack program! Join the FT team in supporting the kids from the Cantagalo Community!